Nope, leaving that one right where it is . . .
No way. Too many hardened kernels. Last time I got paroled rice, they got my alfalfa pregnant, and drank all my beer. Will somebody please stop this blasted autocorrect before it kills again? Just a flesh wound. Parboiled. Edit to SaintLouieWoman, between you & Big Dog, I am now very tempted. Making more brown rice tonight. I bought it, I'm gonna eat it. this is three rice dishes in a week. Last night I thought I bought Dinty Moore beef stew...nope. It was Dinty Moore Chicken and Dumplings. My Mother made it when i was a kid, and I wasn't too impressed, But this was pretty good. Tonight is a recipe I posted here before. 1 serving of rice, 10 oz Medium Enchilada sauce, 8 oz Sharp cheddar cheese, and a pound of ground beef. ADD the cheese last, and nuke for 3 minutes until its all melty. Then mix the whole thing thoroughly. Heaven. Who likes this thread besides me ? You might be alone. I have no use for brown rice, especially when it comes to sushi. Last night I forgot to defrost some meat. After reading some of the ideas, just sauteed some veggies, added some leftover plain angel hair pasta, olive oil, spices, then some fresh mozzarella cheese, shook some parmesan over it, and added melted in a few slices of provolone cheese. It was really good. I would have made it with brown rice if we didn't have the angel hair from the other night. Now that is a meal! It's creative, only using what you have on hand, and cheese, gooey melted cheese! I like it more than not. 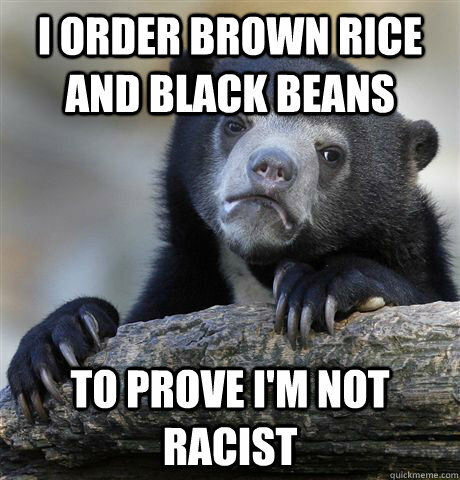 I'd have never even considered eating brown rice otherwise. (& Lawd, the cusswords that would have emanated from my kitchen if I'd tried it without the tips). That sounds really good. You know what would make it even better? Brown rice is good in stew with leftover meat or poultry. 1. In a cast iron Dutch oven, bring water to boil. 2. Add all ingredients except pepper. 6. Cover and simmer for one hour, stirring occasionally. 7. Remove bay leaf. Add pepper to taste. Serve with crusty bread, extra-sharp Cheddar cheese, and dark beer. That sounds good. I would probably cook white rice separate and ladle the beef stew over it, minus the cheese. Don't like the brown rice. Last time I ate it years ago, I felt like I was being punished. Were you in a Korean prison camp at the time? I always include my favorite meal combinations with my recipes. Doesn't everybody like the same things I do? The great thing about Dog in the Kitchen recipes is that they are meant to be changed for each cook's tastes. *Note: I wrote "a cooking dog", not "cooking a dog". I don't want Obama showing up at my house for supper! I'm weird about rice. When I eat Chinese, I want it served with fried rice, not the white rice or those noodles.